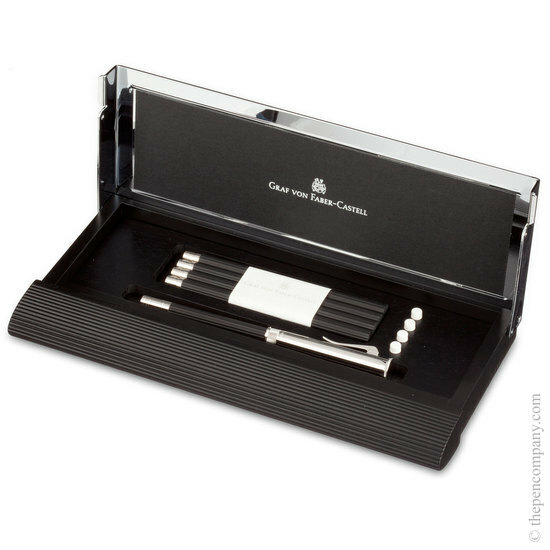 Graf von Faber-Castell's No.I desk set comprises of five No.V pocket pencils, five erasers and a platinum plated extender, housing a sharpener. 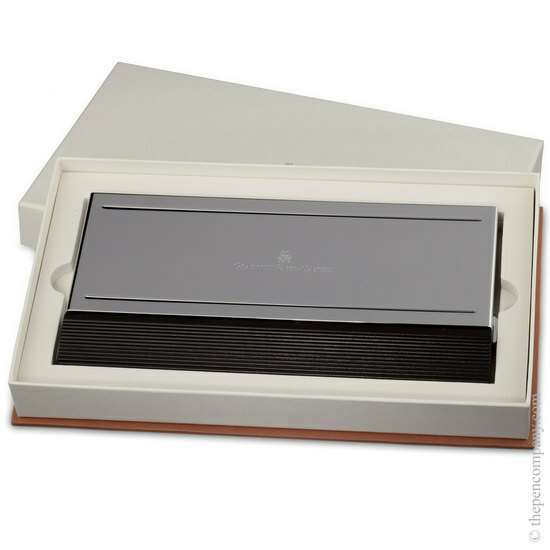 The desk case itself is made from German Alder with a mirror polished metal lid. 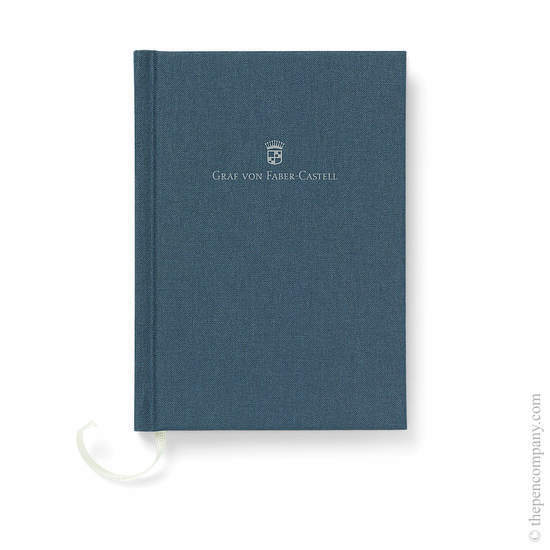 The Perfect Pencil is based on Graf von Faber Castell's 19th century notecase pencil and manufactured from elegantly fluted California Cedar wood. 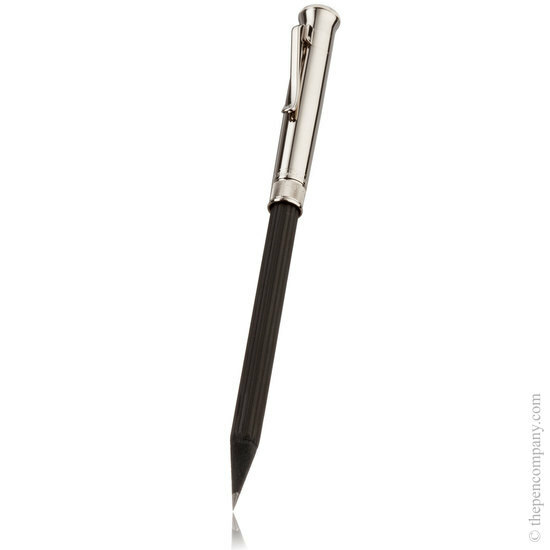 The extender gives a weighty luxurious feel to the pencil whilst the eraser is housed under threaded end cap keeping in neatly tucked away. 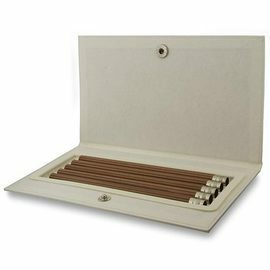 Replacement No.V pocket pencils are available in boxes of five. I bought the Perfect Pencil on its own, not the desk set which I would have loved but absolutely could not justify. 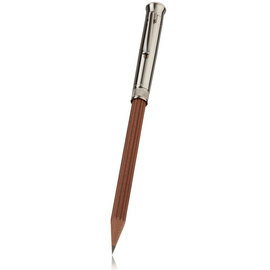 The pencil alone is, of course, a massive extravagance (that much? For a PENCIL???!!!!) but as others have said, what a beautiful item and it really feels wonderful to hold and write with. 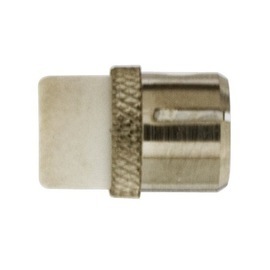 The fittings are suitably heavy and beautifully crafted and the inbuilt pencil sharpener and protected rubber are also works of the highest quality. I usually press really hard when writing with a pencil - it is not necessary with this due to the weight of the fittings which gives a comfortable writing pressure without too much extra from me. I also like the balance of the instrument in my hand and find even with my scrawl, there is an improvement in the end result!! I would also echo another reviewer who commented on the box that the PP comes in. It is beautifully made, well fitted with hinged lid and nicely designed and finished, with a soft three instrument insert. 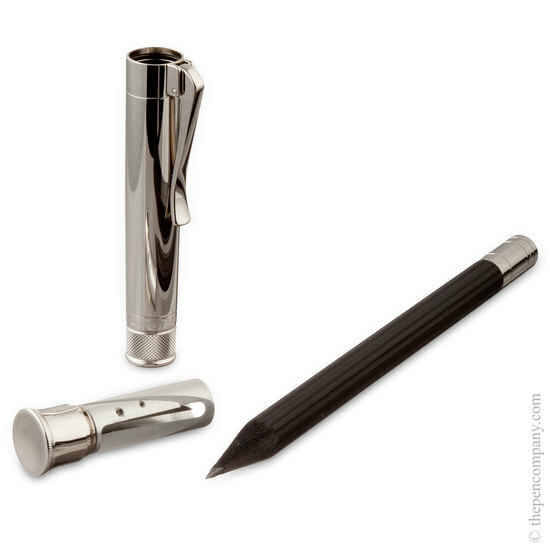 I am using that for my favourite Graf Von Faber Castelle pens and the PP lives in its own leather holder. All very satisfying indeed.